Our first lunch in Baguio was at O’Mai Khan, a Mongolian restaurant recommended by one of my husband’s officemates. Because we were in a hurry to see more of Baguio, we avoided their Mongolian Barbecue buffet and ordered a la carte meals instead. 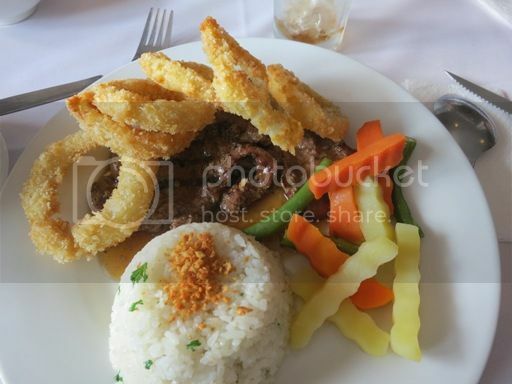 Hubby chose to have this lean tenderloin beef marinated in a mixture of 13th century herbs and spices and topped with fried onion rings. He finished the steak and left all the onion rings on his plate. That’s because he’s not fond of onions. This was my order, grilled tangigui with toasted garlic and lemon butter sauce. I loved the zesty sauce. My husband tasted some of my fish steak, and he said it was okay. I liked it, too, but I preferred the tanguigi steak to be slightly more succulent. This is classic deep-fried chicken that we ordered for our helper. She said it’s crispy but a little oily and bland. The serving is huge, though. These are deep-fried chicken lollipops that my son loved. He said they’re yummy! He only ate four pieces, however, because he said his tummy was already full. We should have tried their Mongolian Barbecue buffet for only Php210.00 because that seems to be what most diners are having. Besides, unlimited fresh veggies combined with either pork, chicken or beef (and rice) is heaven! We’ll make sure we’ll have that on our next visit to Baguio. 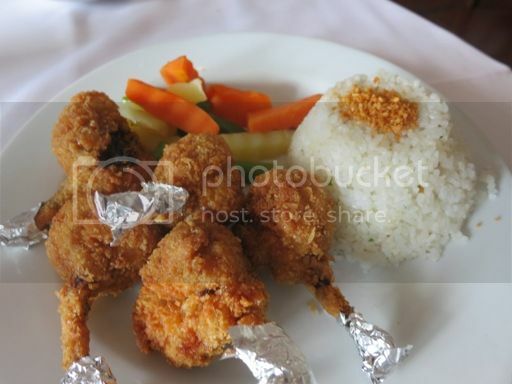 This entry was posted in Baguio, Food Friday, Food Trip Friday, Mongolian Cuisine, O'Mai Khan. Bookmark the permalink. everything looks delicious! their buffet (with unlimited fresh veggies, yumm!) sounds like a good deal for only Php210! hi..we were there last weekend and i really wanted to try O’Mai Khan…but due to the limited time we had being in a tour group hubby and i settled for Good Taste resto..very near from the hotel we were booked in! 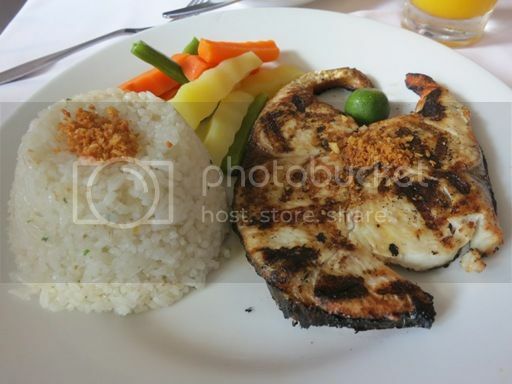 sarap naman nung fish steak! Good recommendation. I will visit this resto next time I visit Baguio. I was in Baguio last weekend. Too bad I didn’t hear about this place sooner. That is where the Mongolian barbecue Buffet that I wanna try. Sad to say, I still haven’t yet. 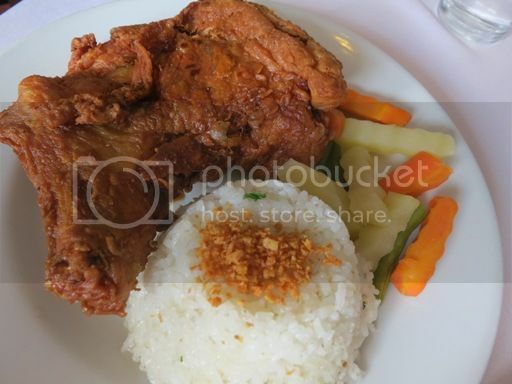 Love your order… yung tanigue looks yum!